Start performing funny, original stand-up comedy! On Sale Now!! Super Low Price! 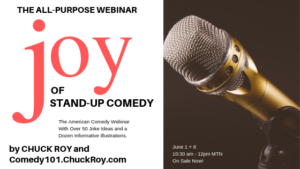 Develop a funny, original 5-minute stand-up comedy routine. Perform material that gets big laughs. Write jokes like the pros. Plus, show business tips for finding stage time. 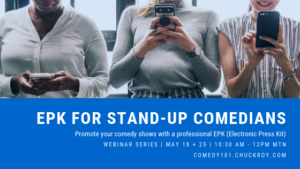 Turn your ideas into a very funny comedy act! 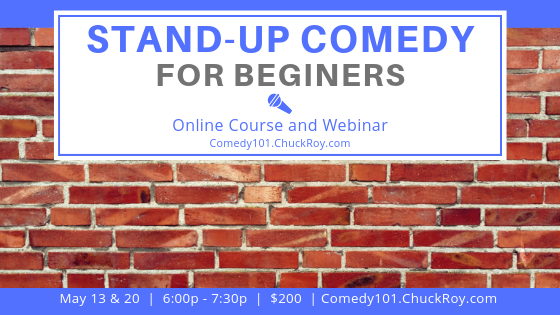 (1) online course, Stand-up Comedy for Beginners companion! Small class size! Access is limited to 5 attendees! Sign up today! 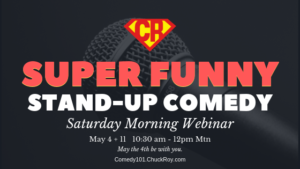 Develop super funny stand-up comedy.